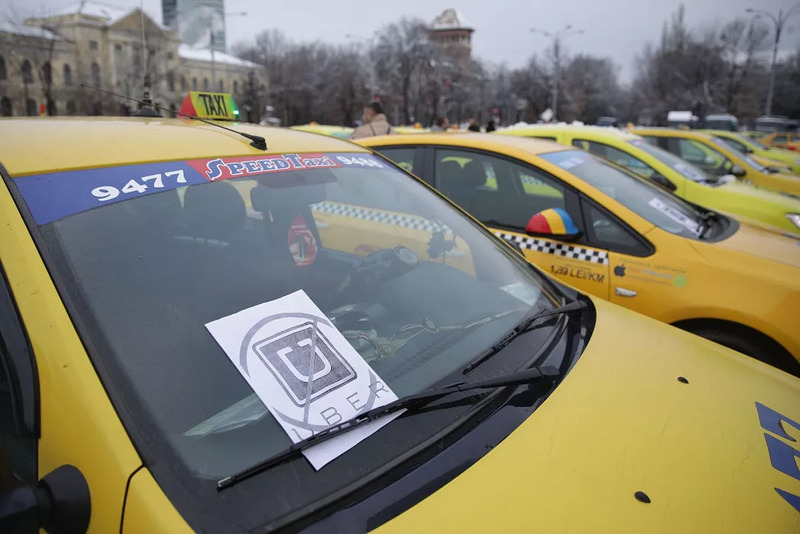 Taxis in Bucharest decided to organize yet another protest in front of the Government building in Victoriei Square on Wednesday, February 13, against “illegalities” practiced by Uber and other similar platforms. This also brought several traffic restrictions in the area, almost blocking Victoriei Square, a very busy area of the capital. The Confederation of Authorized Operators and Carriers in Romania (COTAR) the organizer of the protest, initially announced that 2000 taxis would be parked in front of the Government building. Union leaders cited by local Hotnews.ro said that more than 800 taxi drivers were present in Victoriei Square on Monday morning. The protest is scheduled to end at 15:00. The transporters said that if the government fails to solve their claims, they would organize a bigger protest on February 27-28, when the traffic in Bucharest will be blocked by the buses, minibuses and taxis coming to protest in the capital from all over the country. Similar protests were scheduled to take place in other cities in Romania on Wednesday, including big cities such as Arad, Timisoara, Iasi, Bacau, and Targu Mures.